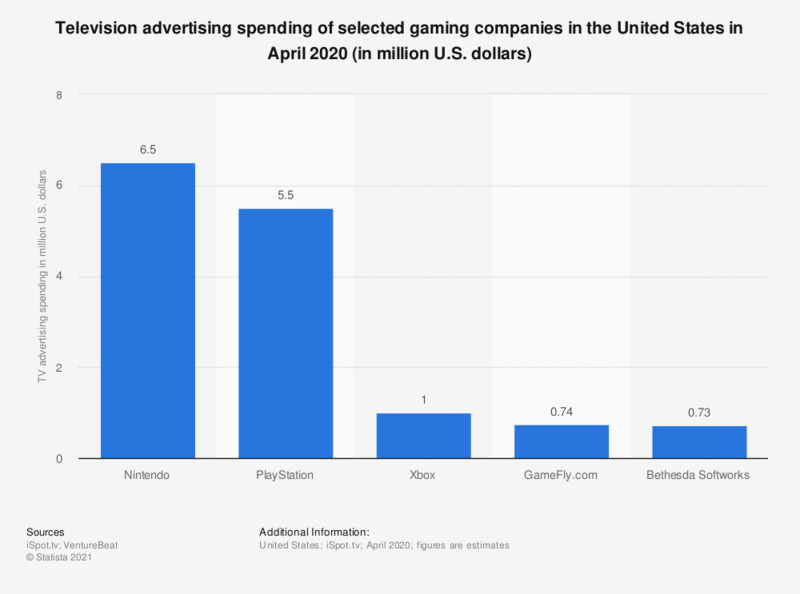 The statistic presents data on the television advertising spending of selected gaming companies in the United States in January 2019. According to the source's estimates, PlayStation spent 12.9 million U.S. dollars on TV advertising that month. In total, gaming companies spent 29.7 million U.S. dollars on TV advertising in January 2019.